Homepage » Crochet For Baby & Children » [Free Pattern] This One Piece Wonder Baby Sweater Pattern Is Brilliant! [Free Pattern] This One Piece Wonder Baby Sweater Pattern Is Brilliant! This absolutely clever baby sweater pattern will save my sweaters from being sleeveless for a long time, while you keep yourself busy warning on other projects! Plus, the construction is really fantastic and it works so quick, you will not have the desire to do anything else before you finish this one. That even a beginner can handle, and a more experienced crocheter can add some personality to this pattern to easily modify for a unique look. This sweater/cardigan is worked in one piece beginning at the right front side, then a sleeve, then the back, then another sleeve, then the left front which is made slightly wider than the right, this is for the over flap to button the sweater/cardigan. Then the sides and sleeves are joined, followed by a collar which brings it all in. The sweater/cardigan is reversible if you refer to button up on the opposite side. View the full written pattern. Thanks to Cathy Wood for the article inspiration and featured image. 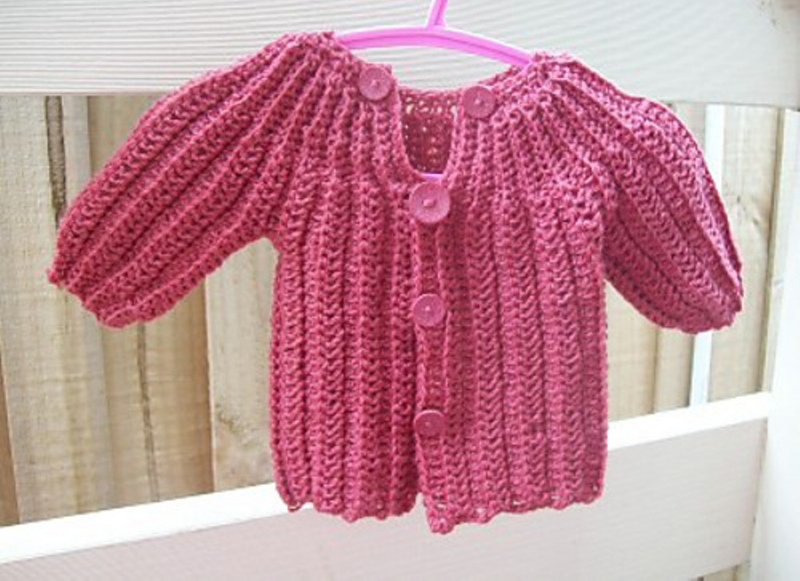 1 Comment to [Free Pattern] This One Piece Wonder Baby Sweater Pattern Is Brilliant! Kitty Otto. I’ve knitted one like this. Going to try the crotchet version.